At Dubrovnik Travel Corner, you can get any information necessary for spending meaningful time in the region. From practical things like luggage storage, information on daily events to a selection of great excursions in the region, we are your one-point information stop in Dubrovnik. Transportation schedules and route planning are among our specialties, and you can also ask about options within your budget or the easiest way to reach even other countries in the region. We also hold the Dubrovnik Card (1, 3 and 7 days), bus tickets, a small rent-a-car and some private accommodation, city tours and souvenirs. 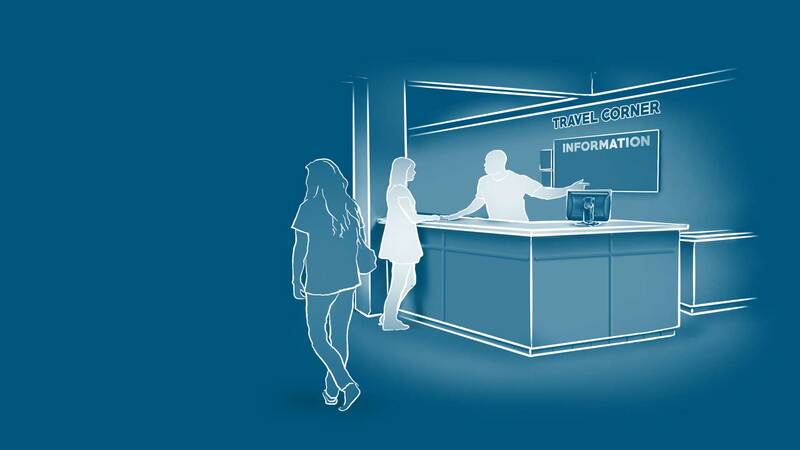 Travel information and smart solutions in one place! Dubrovnik Old Town certainly gets the most hype around here, but there is quite a lot more to this city than its historic center. Numerous quarters, sprawled over green hillslopes, peninsulas and bays, each cherish a unique trait. The Dubrovnik region showcases pristine nature, dreamy archipelagos, lush wine country and vivid traditions still preserved. Time permitting, a curious visitor could explore this area for days, wandering between the wine-infused peninsula of Pelješac, serene island-fronts of the Elaphites and green valley of Konavle.